Add LEGOshop@e.LEGO.com to your address book to ensure our emails reach your inbox! 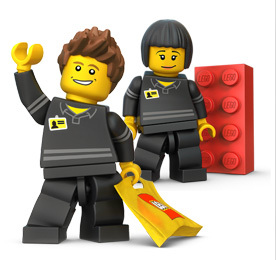 Thank you for signing up to receive LEGO® emails! You’ll be the first to hear the latest news from the Official LEGO® Shop, including What’s New, Sales and Deals, Exclusives and Hard to Find items. Visit us today for the widest LEGO selection available, along with detailed product descriptions, customer reviews and more! INTRODUCING LEGO® LEGENDS OF CHIMA™! Please review our cookies policy. We are always happy to hear what you think about our products and services. However, because this is a promotional email, we will not be able to respond if you reply to it. If you would like to ask a question or make a comment, please go to http://service.lego.com and fill in the email form that best describes your query. LEGO and the LEGO logo are trademarks of the LEGO Group. © 2017 The LEGO Group.